Eleaf Lemo 3 Atomizer Head Base is a spare part for Lemo 3. Get it for your Eleaf Lemo 3. 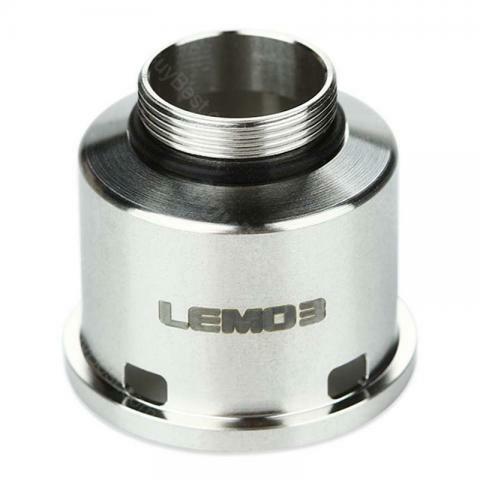 Eleaf Lemo 3 RTA Cap is a spare part for Lemo 3. It is the cap for your RTA base. Get it for your Eleaf Lemo 3. Taking into account the sole pleasure of use, vapers who love big clouds will be delighted by Eleaf’s Lemo 3. Vapor is dense and tasty from 30-35 W on. Starting at 50 W, clouds really become huge. It could have been a very aerial and versatile atomizer. Eleaf Lemo 3 RTA Atomizer Cap is a cap for Eleaf Lemo 3 RTA with 5pcs per pack pack. It is a spare part for Lemo 3.